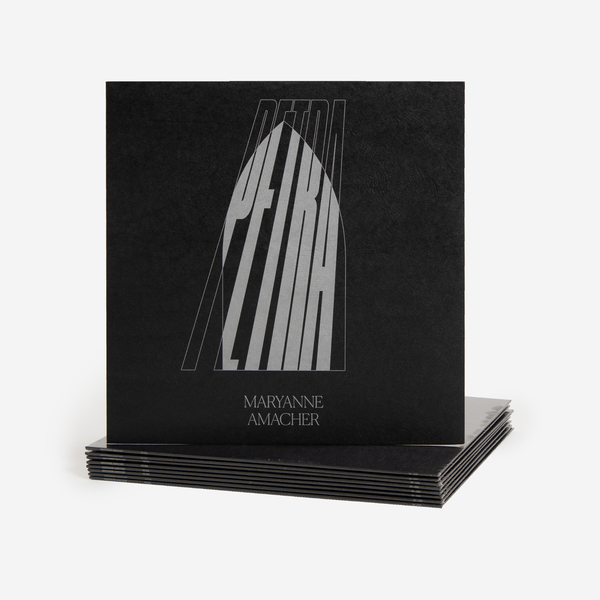 Issued posthumously, ‘Petra (1991) For Two Pianos’ is the first ever vinyl pressing of music by Maryanne Amacher (1938-2009), one of the early “gurus” of electronic music, who is revered for her explorations of “otoacoustic emissions” - acoustic phenomena where the listener’s ears produce audible sound. 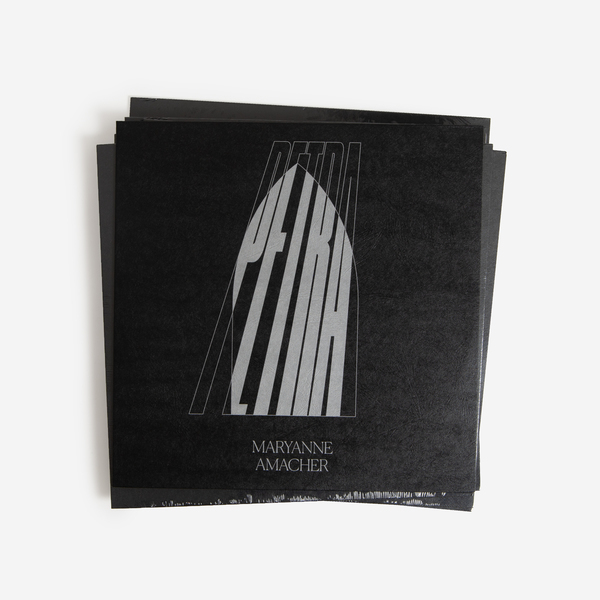 One of a handful of Maryanne’s works for tape, ‘Petra (1991) For Two Pianos’ joins her seminal Tzadik CD releases ‘Sound Characters (Making The Third Ear)’  and ‘Sound Characters 2 (Making Sonic Space)’  as only the 3rd official release of Maryanne Amacher’s remarkably unique music. However, where her first two albums were crucially created with electronic sources, this one aims to generate the same effect with two acoustic instruments simultaneously presenting pure tones, and in a way links her otoacoustic exploitations back to the phenomenon’s discovery by 18th century Italian violinist, Giuseppe Tartini. 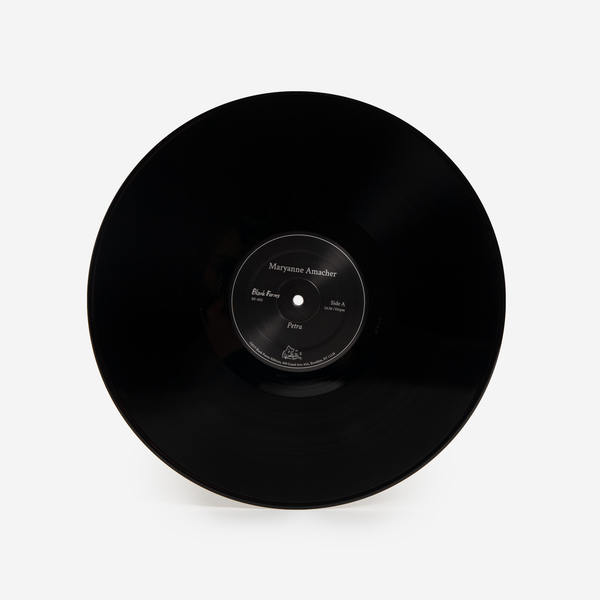 This much anticpated Blank Forms release of ‘Petra’ is a recording of its American premiere on May 4th, 2017, at St. Peter’s Episcopal Church on West 20th Street, NYC, performed by Marianne Schroeder, a Swiss pianist specialising in New Music, and Stefan Tcherepnin - great-grandson of the legendary Serge. 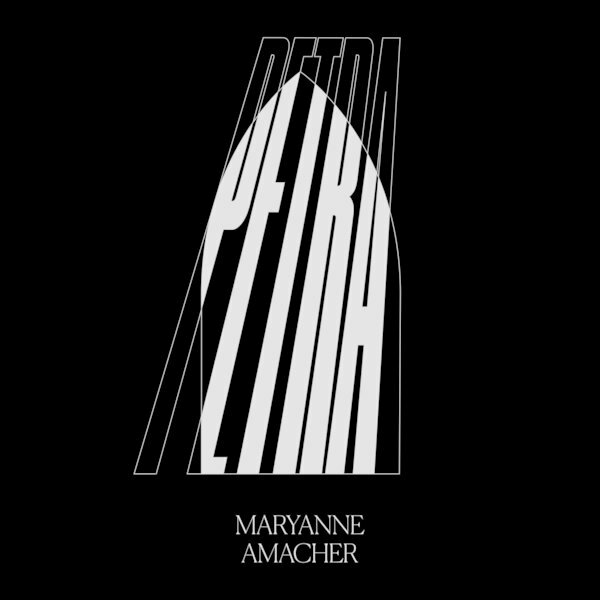 Originally commissioned for the ISCM World Music Days in Switzerland, and written for two pianos, ’Petra’ forms a unique extension of Amacher’s electronic working methods, requiring a poised precision and patience from the players who segue from glacially reverberant serenity to passages of ragged dissonance, taking the music into realms shared by Amacher’s inspirations, Giancinto Scelsi and Galina Ustvolskaya, while also subtly manifesting the piece’s literary influence from sci-fi writer Greg Bears’s short story of the same title, where the gargoyles of Notre Dame come to life and breed with humans in an apocalyptic future. The first part is ashen solemn, but struck thru with flashes of exhilarating high register colour, with lots of spooky action found in between the notes, where one can practically feel the church’s architecture impressed in-ear like a watermark. 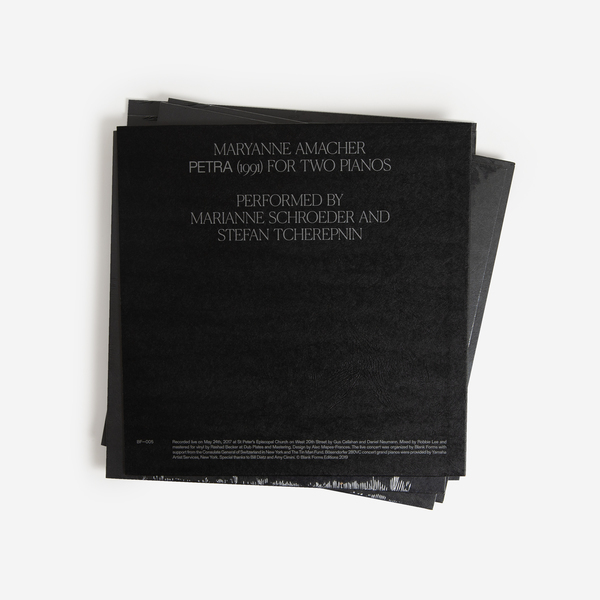 The 2nd part is much more dynamic, riddled with surprises and shadowplay, turning dread-heavy and rhythmically forceful before Schroeder and Tcherepnin gently bring the notes down like leaves on a slow-spiralling autumnal descent, conversely amplifying an uncanny space between the keys and leaving listeners utterly enchanted, aware of their space and presence in a deeply unique manner. 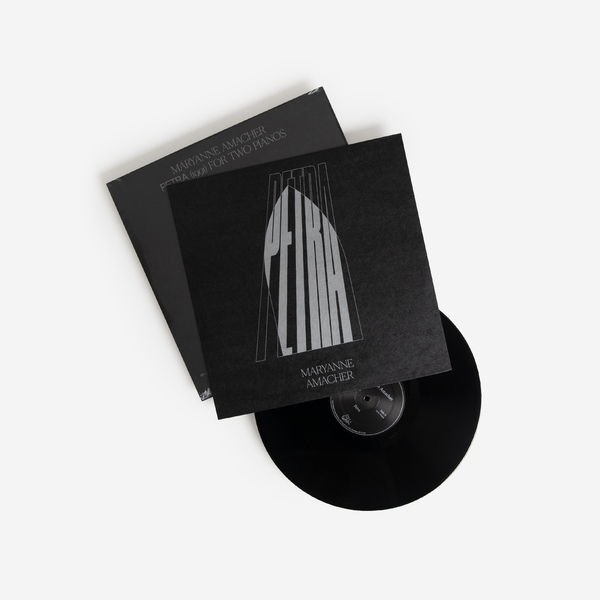 The first ever Amacher available on vinyl, edition of 1000 copies housed in a unique textured sleeve.